Bonjour lecteurs! Baba loves photos. He is always happy to pose for the camera. But his new bad habit is to chew his the toothpaste and not brush his teeth properly. It’s a bit of a disappointment as he has always been interested before and we had a good routine. I was actually proud to have nailed this one… But lately, brushing his teeth has been a mission and I often had to do it myself! So when Playbrush asked me if we wanted to try their product that promises big changes, I said oui straight away. It doesn’t hurt to try something new! Plus it is a super famous brand seen on TV! Here is our Playbrush Review just for you! Playbrush Review – Welcome to the World of New Technologies! One of the reasons why I agreed to try this product is because Baba loves his tablet and I thought it would be a good motivation to get him hooked! I am sure some people would say it is another gadget. But I reckon you don’t have to use it everyday! We have not as I don’t want to create a dependence to it but if we have a bad day with a tantrum when it’s brushing time, then I am happy to use it! Is this going to transform Baba into a good boy? Seeing Baba starting to be so reluctant to do it was really worrying me. I remember my mum having a constant battle with my brother to do so. In comparison to him, I was 1 ange and very happy to brush my teeth 3 times a day! I think I was too scared to have to visit the dentist too often! Time for Baba to follow into his maman‘s steps! Keep Up Smiling Frenchie! 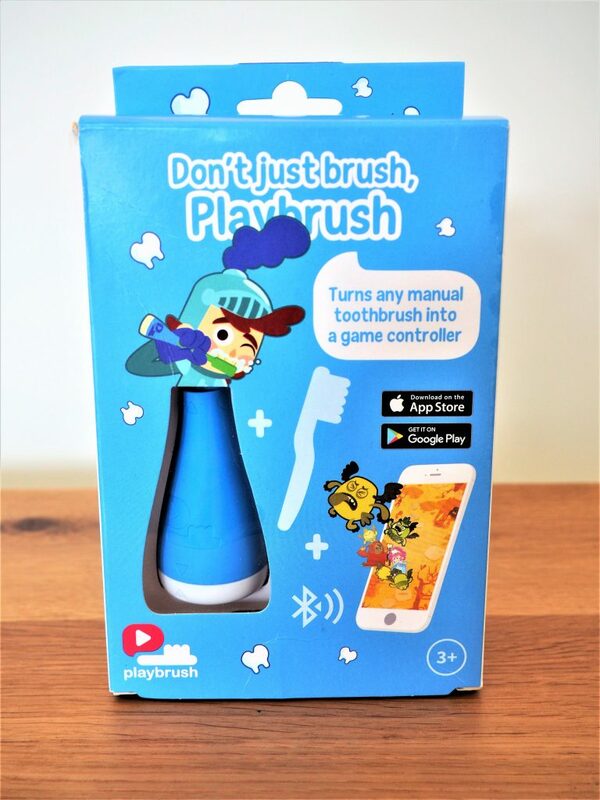 Playbrush is this little blue piece (other colours available) that turns any manual toothbrush into a game controller. It literally took me a couple of minutes to charge the base via the USB cable included in the pack and we were ready to play! 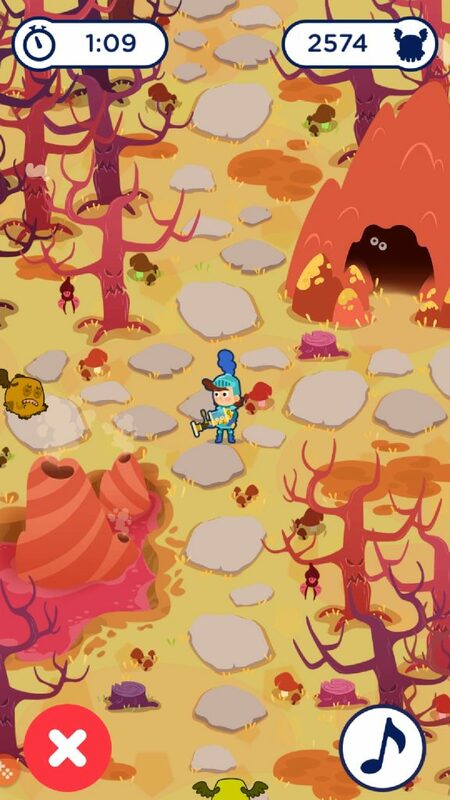 The app has many games available on both apple & android devices. We tried it both on the tablet and my phone. If you fancy using it in the bath, you can also get a plastic cover to hold it and it still works through it so really well-thought when you have wet fingers! We mainly used the one called Utoothia. It is super sweet as you are a knight and you have to kill baddies. And you do so while you brush! Watch out monsters! Baba is ready to brush hard! It’s so well imagined as you have to brush in all directions to get them. Plus the timer set to 2 minutes means that there is some good brushing going on! Now as you may have noticed on the pic, I was not too fussed about where the action was taking place. Bathroom, corridor… We brushed our teeth everywhere! It did not matter as Baba had so much fun. He was even eager to get extra points and tried to move the knight himself! The whole game is very interactive. 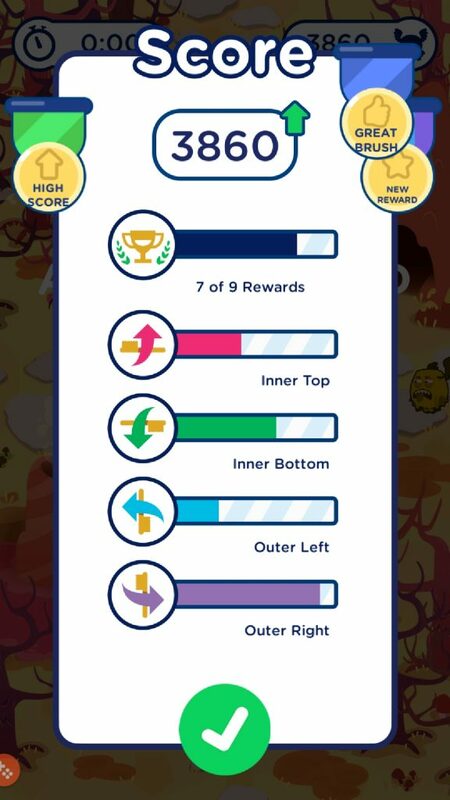 It encourages you when you do well and gives you extra rewards if you are champion at brushing. 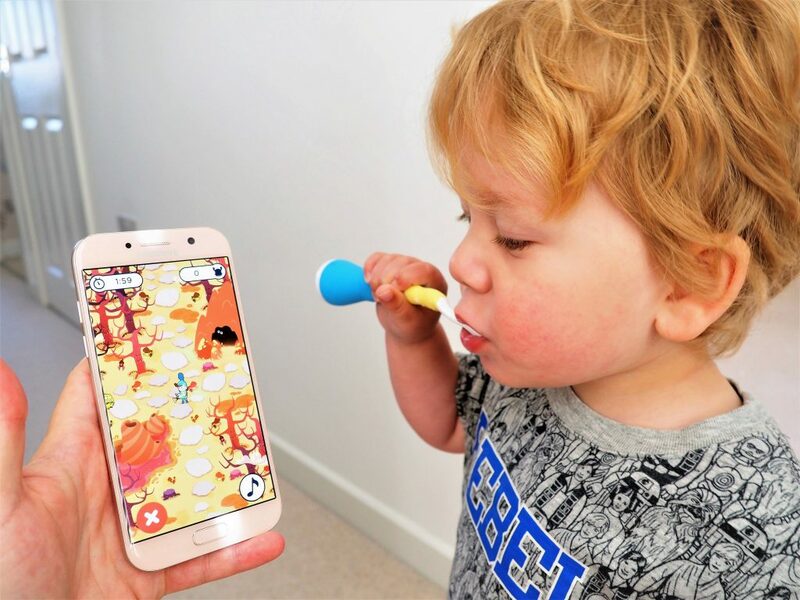 The game in the app indicates in which direction to brush your teeth so that you make sure you cover it all. What I really like about it too is the little summary you have at the end so that you can see what areas you need to take care more of. The summary of the game is a cool idea. Even as an adult, it was very insightful. What a revelation! As an adult who prides herself of having a good dental hygiene, I was surpirsed to see that I actually had a weak point in my brushing! It makes you think! More importantly, it really gave a boost to Baba. 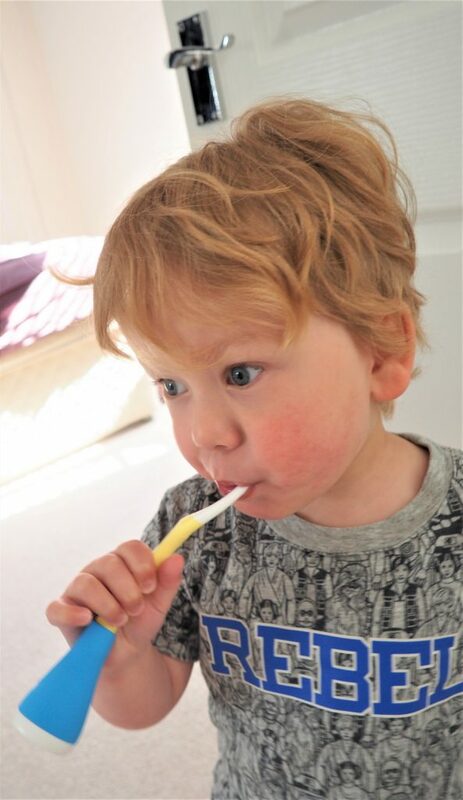 While we had cries and tantrums when it was time to brush his teeth sometimes (it was basically me doing it for him…), we have now a less reluctant toddler to do so! Playbrush has so many fab features to make your children (and you!) keep smiling! Parents receive a summary of kids’ performance so you can actually check on the good (or bad?) work done! It’s so small you can pack it away on holidays! Still with his cheeky smile on, but he is willing to do it! I bet you he thinks he is going to get a better score than me! 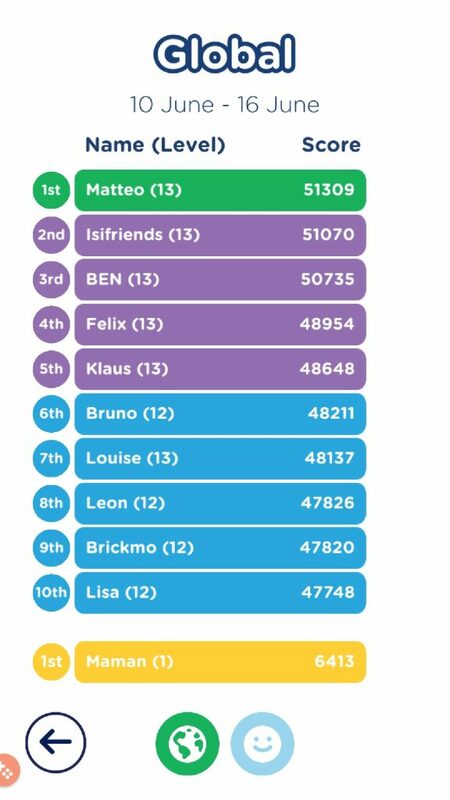 The Global Chart with other children is such a clever trick to make them reach a good score! One of the most boring routines turns into some great adventures filled in with so much fun! We are back smiling all the way through! Watch out decay monsters! Did you know that 25% of children will have tooth decay when they start school? This is scaring me! And Playbrush will help me to make sure Baba is not part of those horrific statistics. Keep up Smiling Frenchie! Maman has it all planned for you to remain the cutest petit singe in town. 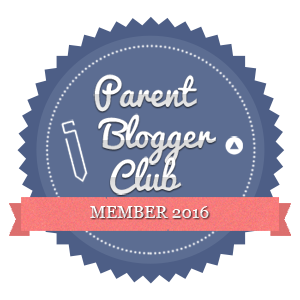 Fancy some great results with your little ones? Do you want them to have some gorgeous smile? Get them a Playbrush now. 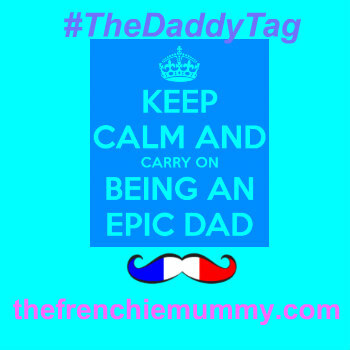 With our special Frenchie code FRENCHIEMUMMY, make the most of a special discount. We have 20% off for our readers! A Playbrush Smart usually cost £24.99 but it will only be £20 for you! Imagine all the cries and screams you will avoid for this bargain price! Do not think further, get it. Sit down and relax while it is doing its magic and transforming your children into teeth heroes! Thank you for reading our Playbrush Review. We love trying new cool products each week and share our views with you! As well as publishing more pictures of a smiling Baba! Disclosure: This is a sponsored post with Playbrush. Gaga I’m glad I’m not the only one with kids that chew toothbrushes! I reckon mine did it for about 12 months. Thankfully they are both very good at properly cleaning them now but this is a fun way to do a rather boring everyday job! such a great idea to encourage kids to brush their teeth and make it fun! What a great idea but do they do a Peppa Pig one? So glad to read how well this has worked for you and Baba. Holy moly, this sounds incredible! When Luke brushes his teeth, we often get him to do it himself first and then do it again for him afterwards. I’ve noticed he’s great on the back teeth, but doing his front teeth and bottom row seems to be tricky for him. Something like this would be great for encouraging him. I think that some parents use gadgets too often when it comes to their kids. 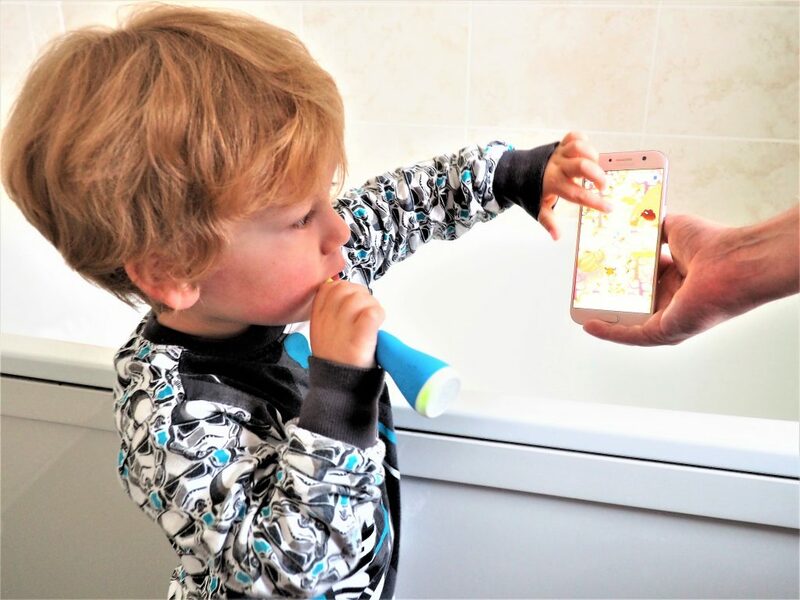 However, it’s so important to introduce a good routine when it comes to their teeth that the use of a gadget (if it is going to work) is definitely warranted! A great app with an educational element – never a bad thing, eh?!! I am so impressed with this. I wish I had found it before now as Monkey has developed so pretty bad habits. I had no idea he wasn’t brushing all the areas of his mouth right either. A firm favourite in our house and I can’t wait to get Kipper doing his too! An excellent and fun way to teach good habits without nagging, thanks for pointing it out. Tech these days! great idea…. My goodness, there really is an app for everything these days~!! What a great idea. I want one for myself. Great way to encourage the little ones to brush properly! This worth a try to make teeth brushing less of a battle! What a great idea, and what a gorgeous little one you have ?